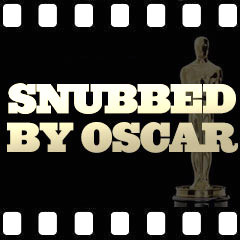 Although the Academy of Motion Picture Arts and Sciences® has awarded many deserving honors to its nominees over the years (Academy Awards® Winners from 1927/8 to the present), a large number of excellent performances by Film Actors and Actresses have been ignored, overlooked, snubbed, or passed over. for each year in the complete Oscar history found on this site. in the complete Oscars history found on this site.